Hello had collected Rs 6 cr at the US box office till Monday. 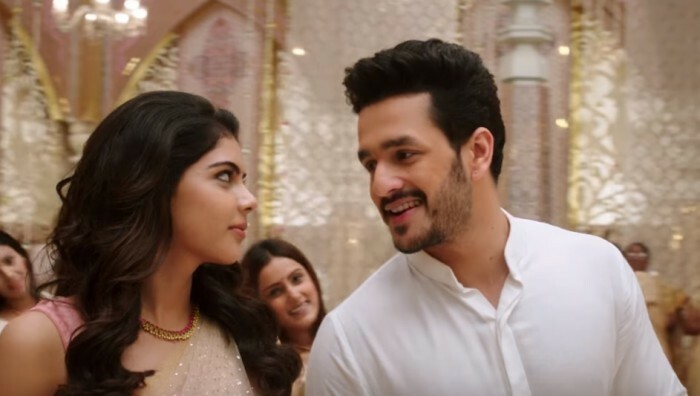 In 2015, veteran actor Nagarjuna’s younger son Akhil Akkineni made his Tollywood debut with ‘Akhil: The Power of Jua’ and added a new dimension to his career. Unfortunately, the film bombed at the box office while receiving unflattering reviews. Now, it seems that the young star has finally managed to get his career back on track and put the setback behind him. According to a leading daily, his second/latest film ‘Hello’—which hit screens on December 22—has managed to hold its own at the US box office and become a hit. It had collected close to Rs 5.93 Cr till December 31. And, it managed rake in more moolah on Monday, taking the total collections to Rs 6 crore. Well, this is some good news and could create quite a buzz amongst fans. In case you did not know, ‘Hello’ is an action-thriller and has been directed by Manam fame Vikram Kumar. Besides Akhil, it also features filmmaker Priyadarshan’s daughter Kalyani in the lead. The supporting cast features names like Ramya Krishna and Jagapati Babu. Speaking about its success, Akhil had said that the positive response has helped him breathe easy. He had also said that doing ‘Akhil’ was his decision and he was responsible for its failure. “I watched Akhil over 30 times just to understand where I went wrong. I have made a huge effort to improve and I am glad it has paid off. Doing Akhil was my decision and I am solely responsible for its failure,” he had told a leading news agency. With ‘Hello’ in theatres, one can expect him to zero in on a new project and hope to continue his tryst with stardom. While speaking an agency, he had said that he will be more frequent in doing films in the days to come. “I’d like to do films a bit more often now,” he had added. So, are you happy for Akhil? Tell us in the space below.